Why does some Mexican food taste so much better when we have it dining out versus making the same dish at home? Part of the secret may be achiote oil. 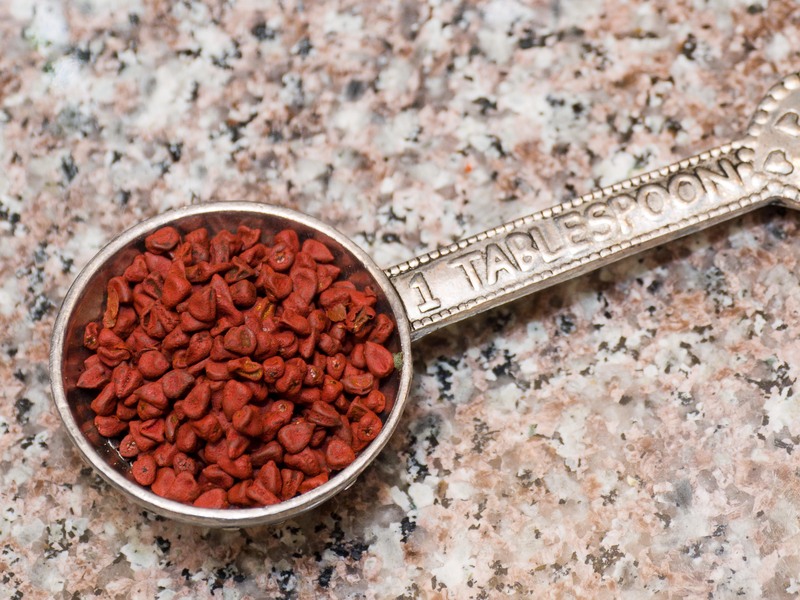 Annatto seeds (achiote in Spanish) are deep red seeds with a great rich earthy/nutty taste. They make up the base of achiote pastes and sazón seasonings that give many Mexican dishes a wonderful depth. Cooking the annatto seeds in a hot neutral oil for a few minutes infuses it with all that wonderfulness and gives you and easy way to bump up the color and flavor of a dish. 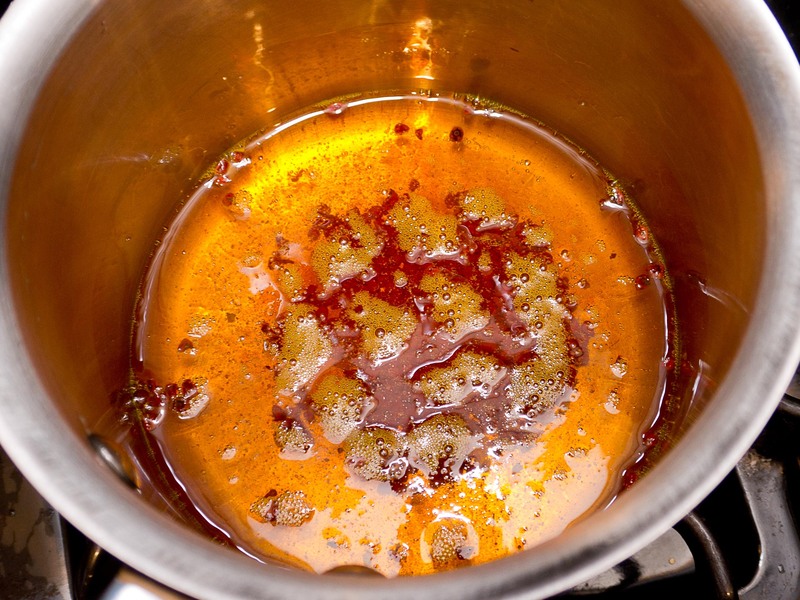 Heat the oil and annatto seeds in a small saucepan over medium heat until the seeds just start to sizzle. Hold the sizzle, swirling the oil often, for 1 minute and then move off the heat and let it cool. Don’t cook the seed much longer than this or they will burn, turn bitter, and make the oil green (yuck). 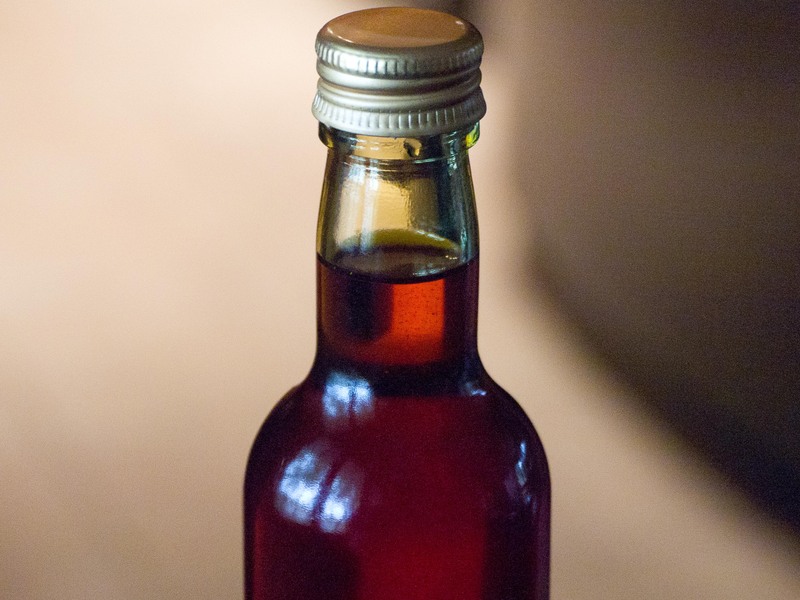 Carefully strain the oil (annato is used as a food dye, so it will stain just about anything it touches) into a glass jar (I use an old hot sauce bottle). Store on the counter top for up to 4 days and in the fridge for at up to a month. Use a little achiote oil to add a deep flavor and color to almost any dish. It’s traditional in yellow rice, but it’s also a nice base to sauté some garlic and onions in for veggie dishes, or I like to use it as part of a marinade for seafood. ok, I’m so game to try this. Now if I can just find those seeds! My first experience with achiote oil was using it for Raichlen’s Puerto Rican pork chops. I didn’t find the seeds, just the powder, but it still worked well. It does have an unmatched color and an earthy flavor.